Fitbit Charge Wireless Activity Wristband Just $64.99 Down From $130! PLUS FREE Shipping! You are here: Home / Great Deals / Christmas Deals / Fitbit Charge Wireless Activity Wristband Just $64.99 Down From $130! PLUS FREE Shipping! Macy’s (among others) have already begun their Cyber Monday sales! 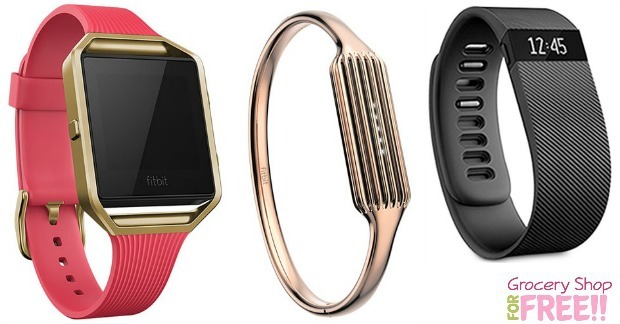 You can grab a Fitbit for as low as just $64.99! Was $129.99! They are all on sale PLUS you get FREE shipping, too! FREE shipping starts on purchases of $25 or more! NICE! Get motivated to move more with Charge, by tracking all-day activity like steps taken, distance traveled, calories burned, floors climbed and active minutes. Charge lets you see every stat as it happens—right on your wrist, with a bright OLED display. And, with an industry-leading battery life of 7-10 days, you can find the inspiration to beat your goals—no matter what the week brings. Shows your incoming calls when your phone is nearby to help you take control of your schedule. Tech watches must be returned in unused condition with all packaging and with Macy’s proof of purchase within 30 days of purchase.